A lot of Asian countries have long history of eating ducks. I mean like all parts of ducks. When food was scarce, nothing edible would go waste. 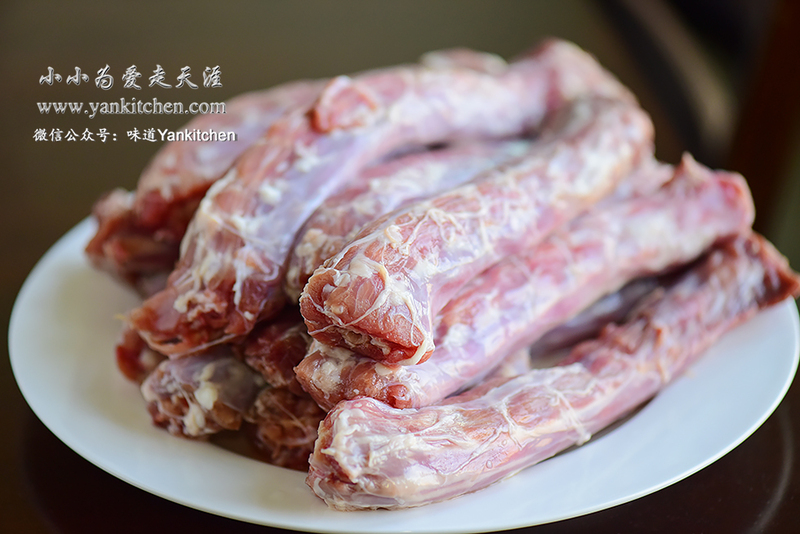 At first, people eat duck necks because they couldn’t afford expensive meat. And now people are still eating it because of it is so tasty and flavorful. Gather all the needed spices in a small plate. Don’t they look pretty together? Clean and rinse duck necks under running water. Trim any extra surrounding fat or tissues. Blanch duck necks in boiling water for about 5 minutes. Rinse them with hot water. Set aside. Heat a cast iron wok over medium heat. Add vegetable oil along with all the spices. 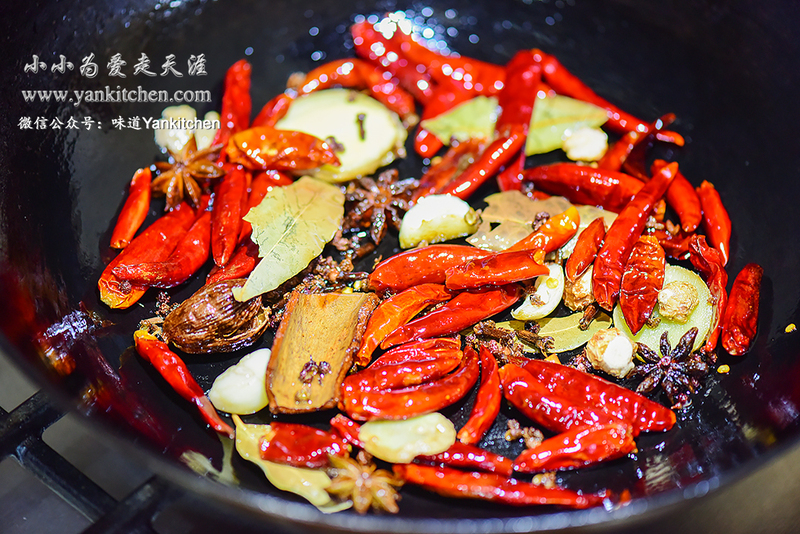 Sautee for several minutes until you can smell intense aroma from the spices. Add soy sauce, dark soy sauce, rice cooking wine, sugar, and old soy sauce. Continue to sauté for a couple minutes. Add water. Turn up the heat to high. When it comes to boil, add duck necks. Wait for the broth to boil again. Cover with lid and reduce the heat to simmer for about 1 hour. Extend the simmering time if you prefer softer meat texture. 15 minutes before simmering time is up, do a quick sample taste. Add salt to taste. When the hour is up, turn off the heat. For maximum flavor, leave the duck necks soaking in broth for another hour or so. When the duck necks cool down, dice them with a sharp cleaver.